Leesa and Casper are both relative newbies to the mattress manufacturing industry. They’re part of a broader group of companies that have made it their mission to penetrate the mattress manufacturing industry using online stores and speedy delivery. Although Casper has only been in the game since 2014, they’ve quickly grown into one of the largest online mattress providers in the country. 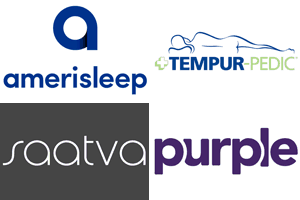 These firms have used technology to create affordable, top-quality mattresses. While they might not have storefronts, they provide guarantees and free returns which makes the entire process risk-free. This review will take an in-depth look at these two mattresses and how they stack up against each other. You’ll have all the information you need to make sure that you make the right choice when it comes to the perfect mattress for you. 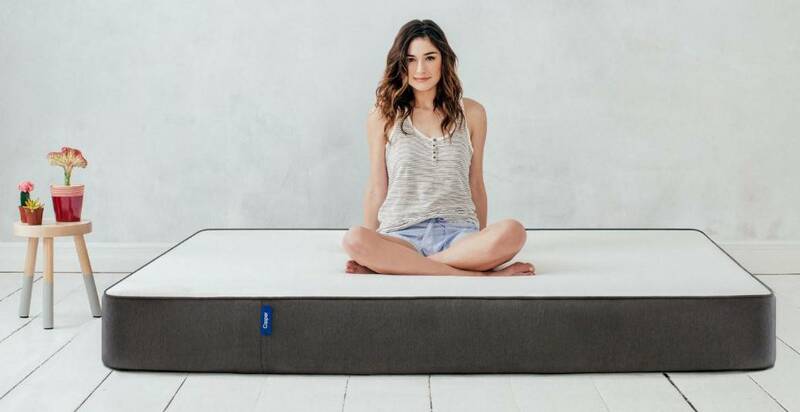 Casper has been growing at a rapid pace ever since its inception to the mattress market three years ago. The majority of their success comes down to the simple fact that they produce extremely high-quality mattresses for very affordable prices. If you’re looking into purchasing a Casper mattress, there are a variety of things that you should consider. Casper does a great job of providing their clients with additional benefits if they purchase a mattress through their website. You’ll receive a 10-year warranty on any mattress that purchase, as well as a 100-day money back guarantee. You’ll also get free shipping on any mattress that you purchase. 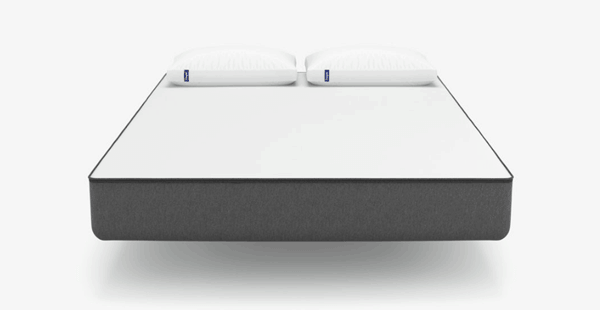 The Casper mattress is one of the most advanced foam mattresses on the market. It uses four different layers to create a unique feel that is second-to-none in terms of quality. The multi-layer system has provided comfort, breathability, and a range of other benefits, which ensure the owner enjoys a great sleep. We will explore each of these layers and functions in more depth below. This is one of the most crucial components of this mattress. This part of the mattress is in place to create the most comfortable experience possible for a person sleeping on it. The initial feeling you get from a mattress is the top layer. This is 1.5” thick and is made from luxury poly foam which creates both comfort and bounce – it’s surprisingly resistance for a high-quality foam. It also has heaps of breathability that is uncommon in many of today’s foam mattresses. This layer is also very important in terms of comfort. It is made of 1.5” of memory foam – which is a common form of foam used in many modern foam mattresses. You’ve probably heard of it being used in the Tempurpedic premium mattresses. The only downside is the foam retains a lot of heat, hence why it is the second layer instead of the first. This is the exact same width and material as the top layer of the mattress. It’s in place to create a solid buffer zone for those using the mattress. It is a transition between the comfort layers and the support layer. 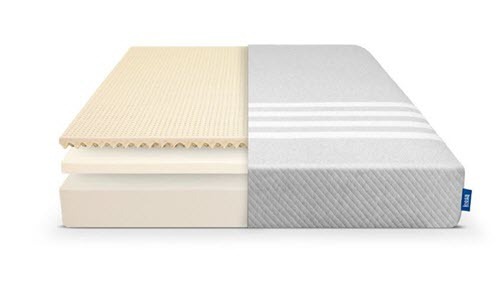 The bottom layer is a layer that provides all the support for the rest of the mattress, this is one of the most crucial parts of any mattress. In fact, without this there really wouldn’t be much of a mattress – just a bunch of foam that you sink through. These four layers have created an outstanding product that has done very well with consumers. Finally, you’re able to purchase a luxury mattress without the need of a large price tag. This truly is one of the best products on the market in terms of innovation and affordability. The cover of the mattress takes a much more minimalist approach than the mattress itself. The aim of the cover was to provide protection for the mattress and add edge support to the sides of the mattress. Casper wanted their covers to be as thin and stretchy as possible, as well as easily washable. This was all achieved using polyester to make the top and bottom of the mattress cover, and a combination of polyester and polypropylene to make the sides. The stronger sides mean that there is plenty of edge support. The thin top also allows for maximum interaction with the mattress itself. It’s a very effective way of letting you enjoy all the attributes of the mattress you’ve purchased. Often, mattress producers put on thick mattress covers which can reduce your ability to experience all the benefits of the mattress you’ve purchased – this isn’t in the case with a Casper mattress. One of the reasons Casper has been able to grow as quickly as it has is the great comfort their mattress provides owners. You’ll find that they have an exceptional amount of positive reviews online. The top layer of the mattress has more resistance than your traditional foam mattress and this is a very positive attribute according to many owners. Often, foam mattresses have a sinking sensation which prevents them from feeling like normal mattresses – by putting the memory foam below the poly foam, Casper has avoided this entirely. In terms of support, the Casper mattress scores a 6/10 – fairly close to the middle of the pack in terms of how firm it is. It is enough support for your average person – even if you are very light, you will find that the mattress doesn’t push up against you too much to make it uncomfortable. For those who are heavy, you may want to find a mattress that has a bit more support – unfortunately, you’ll most likely sink too far into this mattress if you weigh 240 pounds or more. Shipping – Casper offers free shipping and will deliver in 2-7 days. Amazon Prime customers can get guaranteed two-day shipping. Warranty – 10 years, standard for the mattress industry. Trial – 100 nights, which is also about the standard amount of time you get for a trial these days. The Leesa mattress has been gaining steady traction in the online mattress market. They’ve been able to develop a superior product that has an extremely cheap price tag. While there are many other manufacturers that have entered the market, Leesa has been able to differentiate themselves using a few different production strategies. If you order a Leesa mattress, you will not be required to pay for any shipping and you should receive your mattress within a week of purchase. You get a 10-year warranty, which is in line with industry standards. In addition, if you don’t like your mattress, you can return it within 100 days completely free of charge – there’s no risk at all. All Leesa’s mattresses are made right here in the United States – you’re supporting local jobs by supporting Leesa. 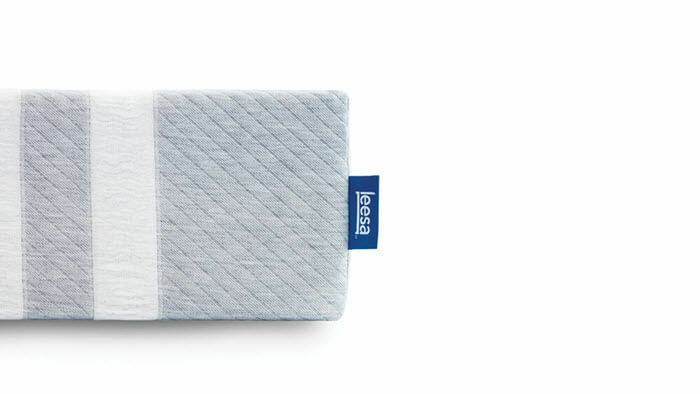 The Leesa mattress’s top layer is 2” of Avena foam – this is a foam that is produced and used exclusively by Leesa. It has been compared to latex, but has its own unique qualities. You’ll find that this is extremely comfortable and often provides a great deal of cooling that is not normally found in the top layer of a foam mattress. This layer is also put in place to provide comfort and transition to the support layer. It is made from a traditional memory foam that is used to make plenty of other foam mattresses. It is 2” thick – this layer would typically retain heat, but the top layer does a good job of preventing this. This is foundation of the mattress – it is 6” of advanced high-density foam that provides the firm base the mattress needs. This is one of the most crucial components of any mattress. This may seem like a rather rudimentary design, but it provides a very comfortable mattress with solid support, which will be explained in more detail further along in this review. The Leesa mattress cover is relatively thick compared to its competitors. 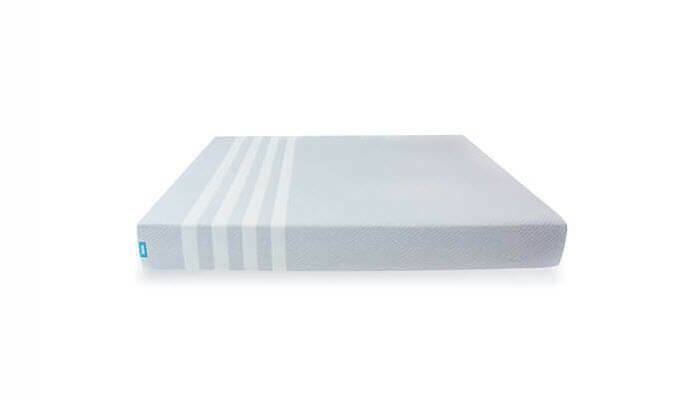 You’ll find that it has a fairly basic aesthetic design, displaying a similar pattern across the mattress – the cover is the same across every area of the mattress. The material used to create the mattress cover is a polyester-lycra blend, which creates a strong and tightly woven material that is easy to wash. It does a great job of protecting the mattress and it also provides additional support to the person sleeping on top of it. If you’re looking for an extremely thin mattress cover, this probably isn’t the best option, but it does a good job of what its designed to do. The Leesa mattress does a wonderful job of creating a firm but comfortable feeling with its mattress. We like to assign a support rating to all of the mattresses that we review – the Leesa comes in at 6.5/10. This is slightly more firm than the Casper that comes in at 6/10. If you’re heavier, you’ll probably prefer the Leesa mattress, although those who are much heavier probably need a mattress with even more support. Many people wonder how the Leesa mattress is able to have such a great amount of support, but still have plenty of comfort layers on top. The secret is in how large the support layer is – 6”. This is an exceptionally large amount of dense-foam for a mattress, and it does a great job of providing the firmness needed. A common theme amongst those who have purchased Leesa’s is that people have been able to sleep on their backs for the first times in their lives. Apparently, the comfort and support of the Leesa mattress has improved the sleeping habits of a lot of the mattress’s owners. Returns– very easy, 100% money back guarantee if it isn’t the right mattress for you. So, should you buy a Leesa or a Casper? If you think that both of these mattresses may be suitable for you, you may find it hard to choose which one is the right one for you. Fortunately, both mattresses are extremely affordable, which means that if you’re able to afford one, you’ll be able to afford the other too. The decision you make will largely come down to a few preferences. If you value support highly, the Leesa is a great option. It only scores slightly higher than the Casper, but this can go a long way in the grand scheme of things. But remember, if you need a lot of support, neither of these mattresses will be good for you. You’ll want to buy something that scores 7.5/10 or higher. The Casper mattress is a more advanced design than that of the Leesa – the four-layer system provides some benefits that the Leesa is unable to offer in terms of comfort. But both mattresses provide a great degree of breathability. For this reason, both mattresses have scored very highly amongst their customers – you can find an endless source of praise for these two mattresses online. Many people cite them for fixing years and years of bad sleeping habits. Both of the mattresses come with the same warranties and money back guarantees. You may be skeptical of making an online purchase without being able to see the mattress, but you can return it free of charge if you don’t enjoy it. It really is risk free!